Pets of the winged variety make excellent companions. They are bright and beautiful; their songs make a home come alive; and their “human-like” voices and antics can provide for countless hours of entertainment and amusement. Yet one of the most distinguishing traits of birds in comparison with more “traditional” companion animals is their lifespan. Some species of captive birds can live for over 50 years. That’s why it’s so important to find a veterinarian experienced in avian care. 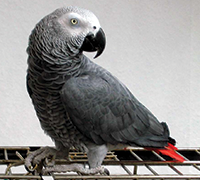 Dr. Boulette provides a broad range of comprehensive avian veterinary care services designed to address all of your bird’s unique health care needs. We highly recommend regularly scheduled wellness visits to help your bird’s overall well-being and ensure their ongoing health and longevity. Wellness visits also offer you the opportunity to ask Dr. Boulette and staff members questions about caring for your bird. In terms of daily care, many bird owners often need help understanding how to provide their birds with proper nutrition, training, hygiene, and grooming and how to facilitate social interactions with other pets and family members. 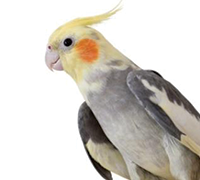 We’re happy to discuss any of your concerns, answer your questions and help provide you with the education, guidance and support necessary to keep your feathered friend happy and healthy. Caring for reptiles requires a certain level of knowledge and understanding of the particular species at hand. Different reptiles require different care in order to keep them happy and healthy, and to help extend their lives as much as possible. When reptile owners have access to the best information about nutritional and environmental management, their reptilian companions will have a greater chance of living longer, healthier lives. 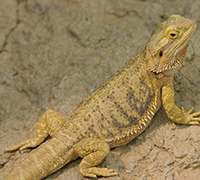 At Wind River Veterinary Services, Dr. Boulette is well trained in the care and husbandry of reptiles and can provide you with all the information you need to keep your exotic pet looking and feeling his or her very best. We can perform a physical examination, answer any questions you may have about your pet, and discuss whether any changes in diet or at-home care are recommended to help ensure your pet’s health and longevity. Rabbits, guinea pigs, ferrets, and other small mammals have become popular pets as increasing numbers of pet owners come to understand the unique bond that can be formed with these unique creatures. These small animals, often referred to as “pocket pets”, require many of the same care and treatments that dogs and cats do, including wellness visits, vaccinations, nutrition and weight management, and more. 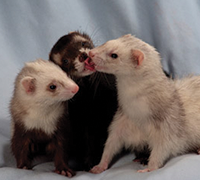 Dr. Boulette at Wind River Veterinary Services is skilled and well-versed in small mammal medicine and can help extend and improve the quality of life of your special friend.